We are a small, outward looking church, who are anxious to interact with village community and to cooperate fully with other Christians living in and around Levens. Regular Worship at 10.00am (one Sunday per month) with St. John’s Anglican church. Other Sundays we worship in our own church at 10.30am. Worship Book for more formal services. Levens Methodist Church is active through Christians Together in Levens,under whose title we appear on the Levens Village website www.levens.org.uk click on Community and then Methodist Chapel. Our church hosts an Outreach Post Office on three afternoons each week, a much valued service after our village Post Office sadly closed. 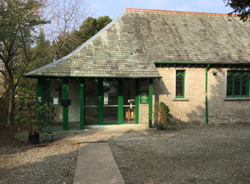 On Post Office days there is also an afternoon Coffee Shop on the premises, operated by members of Christians Together in Levens.